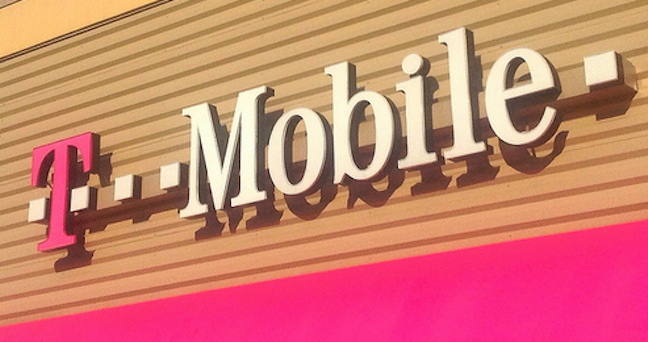 After months of speculation that T-Mobile might finally surpass Sprint to become the nation’s #3 wireless provider, the numbers are in and the two companies have officially switched positions. Re/Code reports that Sprint’s latest quarterly earnings report reveals that the company only gained a total of 650,000 customers, only a fraction of the approximately 2 million users T-Mobile says it signed on during the same time period. The shift isn’t exactly unexpected, as Sprint has reported losses or no growth in several recent quarters. Still, the company is optimistic for the future. “Over the past year, Sprint has made meaningful progress in our turnaround by improving our network performance and enhancing our overall value proposition,” CEO Marcelo Claure said in a statement to Re/Code. The race between Sprint and T-Mobile not to finish last amongst the big four wireless providers has been ongoing for quite some time, with T-Mobile CEO John Legere egging on the competition. Back in February, T-Mobile claimed it was already bigger than Sprint, but as Re/Code reports Sprint was buoyed by a larger pre-paid market at the time. Still, that didn’t stop Legere from spouting off about the more intense rivalry. “Going into 2013, Sprint had 55 million customers. Going into ’14, they had 55 million customers. Going into this year, they have 55 million customers,” he says, pointing to Sprint’s lack of growth. Meanwhile, during that same period, T-Mobile jumped from 33 million to 42 million based solely on the acquisition of MetroPCS, “and we’ve since added 13 million customers to get up to, guess what, 55 million customers,” he said on a call about the company’s latest earning reports. We’ve checked Legere’s Twitter, where he often likes to opine about the company’s success and his competitions’ woes, but it looks like he hasn’t gotten around to gloating about T-Mobile’s new status as no-longer-the-caboose in the wireless carrier train. Next Why Do I Keep Seeing Commercials For Everest University? Next Up: Why Do I Keep Seeing Commercials For Everest University?